Zak Kimes | BMSS, LLC. Zak joined BMSS in 2016 as an intern and became a full-time staff accountant in 2017. His responsibilities include providing tax preparation and assurance services for a variety of clients in a variety of industries. Known as being light-hearted and enthusiastic, Zak was inspired to go into accounting by a former professor who was energetic and made him want to learn more about the profession. 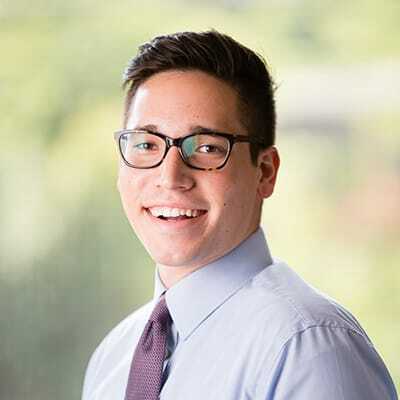 Zak serves as treasurer on the board of the Alabama Cancer Association, a local nonprofit dedicated to advocating for and assisting cancer patients in Alabama by providing patient, friendly step-by-step information for patients and their loved ones. Zak grew up in the Birmingham area and now lives with his spouse, Adria, and their dog, Chester, in Crestwood. They enjoy being close to the many food and entertainment options that downtown Birmingham offers.